Have you ever wondered how many books there are about getting babies to sleep? I was curious so did an internet search. "Books on how to get your baby to sleep" returned 38,900,000 results. "Baby sleep books" rewarded me with 95,800,000 results. So there's not one way then? That's a shame. It made me think of things that interfere with babies sleep. Here is my list of the top 10 things that interfere with babies sleep. I'm sure you can add more and I'd love to read about them. How does this work? How can not sleeping keep you awake? Well in babies and toddlers it does. If they don't get their regular naps then it makes them too tired for their night sleep. They are learning so much. Their little heads are full of new wonders and words. If they get regular naps they can deal with it in small amounts. If they get overtired they may settle well but will be up again and again which brings me nicely onto the next thing. I'm sure it's not just me but why are play groups always timed at babies nap times? They are all mid morning 9.30 ish to 11.15 or mid afternoon 1.30 to 3. We have always been flexible with Bears naps he took them when he wanted and slept for as long as he wanted. It worked out great when he was little, he'd sleep anywhere and the playgroups were as much for mummy as Bear. He likes to take a nap in the morning sometime between 9am and 11am and one in the afternoon, yep you've guessed it between 2pm and 3pm. Bear has also decided that he will only sleep longer than 30 mins in his cot. If he misses one of these naps he's cranky and then at night he won't settle or worse he won't sleep through the night. So, what is more important? His naps and the routine or contact with other babies/children? Why is it so painful? How mean is that? I know that the first few are the hardest and at 11 months Bear has 5 Yeah! Only 15 to go. So the little poppet sleeps all night, settles in 5 minutes until the evening you decide that you'll have an evening out. It's your first night out together without the baby and totally out of character they scream and scream. Nothing works, not cuddles not Calpol. What do you do? Go anyway and be miserable or cancel and be miserable? How do they even know? What did we do? We went out, we talked about the baby all evening and came home early. A sleep regression describes a period of time (anywhere from 1 – 4 weeks) when a baby or toddler who has been sleeping well suddenly starts waking at night, and/or skipping naps (or waking early from naps) for no apparent reason. Anything we can do about this? Don't think so. Just zombie through it, stick to your routine and hopefully come out the other side. It's obvious really. We know that hunger can stop us from sleeping. All those night feeds prove that babies will not sleep when hungry either. If they don't eat well during the day then they will be up at night. It does get better. They will drop their night feed. Just remember you will sleep through the night again in your lifetime. Blocked noses, earache, sore throats, hives (itchy rashes). Just like adults it is worse at night and just as difficult for them to sleep. It makes them more clingy and need more more cuddles. A routine at bedtime helps to set the scene for sleep. This is true for naps too. Whatever the routine, the point of it is that it is the same every time. Holidays, visiting friends and family can disrupt this and combined with unfamiliar surroundings and changes to the routine can disrupt sleep. If going away take something familiar, a blanket, a soft toy. Try to keep to the routine if at all possible. There is always a night when everything should be perfect yet they cry and cry and won't sleep or settle. All the physical things have been checked. Some invisible sharp object digging in them? Baby stripped all checked. If there was a single answer to that one then the author would be a household name and there would be only one book advising on baby sleep. 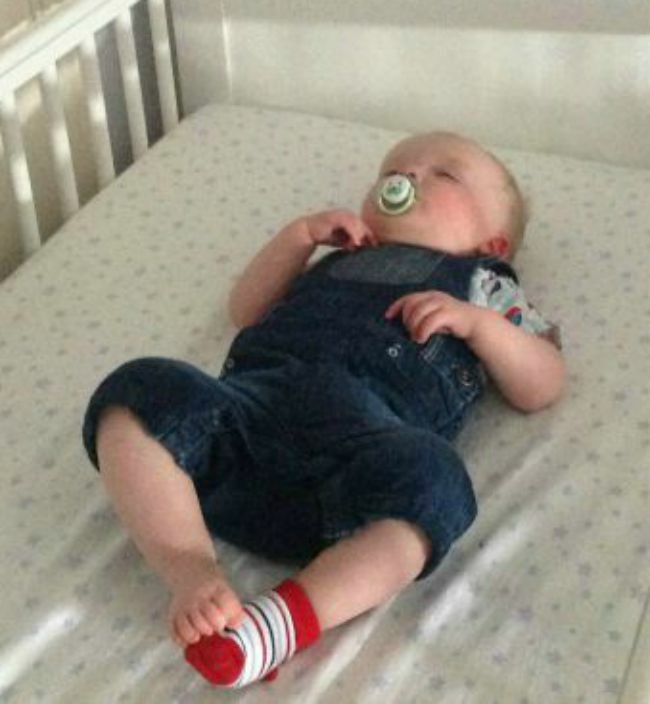 What interferes with your little ones sleep? Any tips or advice you would like to share?